What’s that – you thought launching 100 wearables in a single year wasn’t going to be possible? Fossil laughs in your face, having in fact hit almost 150 SKUs in the end, and in 2017 it’s doubling down with a plan to get to 300. Fossil Group announced this at CES, where it showed off Misfit’s first smartwatch, Vapor, and revealed some new wearables that will be launching at the start of the year. 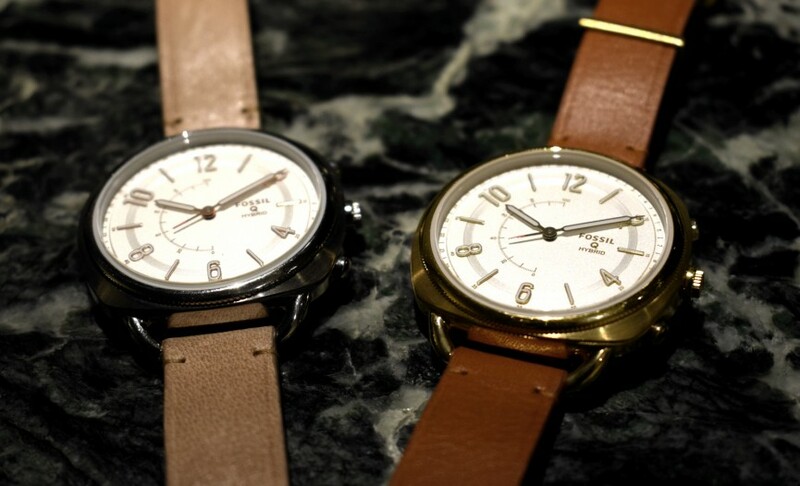 First up, Fossil is bolstering its line of Q watches with the new Q Accomplice, a classic looker that comes in the slimmest Q hybrid case so far. Other than a fancy new shape, the Q Accomplice doubles down on functionality by making all three of its pushers customisable. The mode selecting sub-eye has also been taken off, and instead there’s just a gauge that can be tailored to represent different things. 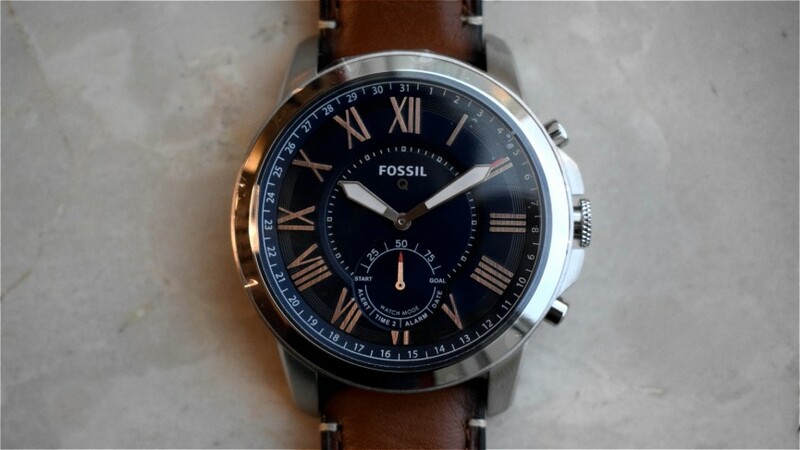 Fossil told Wareable that one bit of feedback it gets from customers is a wish for more smart functions, and as it continues to add more available features, from taking selfies remotely to controlling smart devices, it also wants to make that experience more customisable. 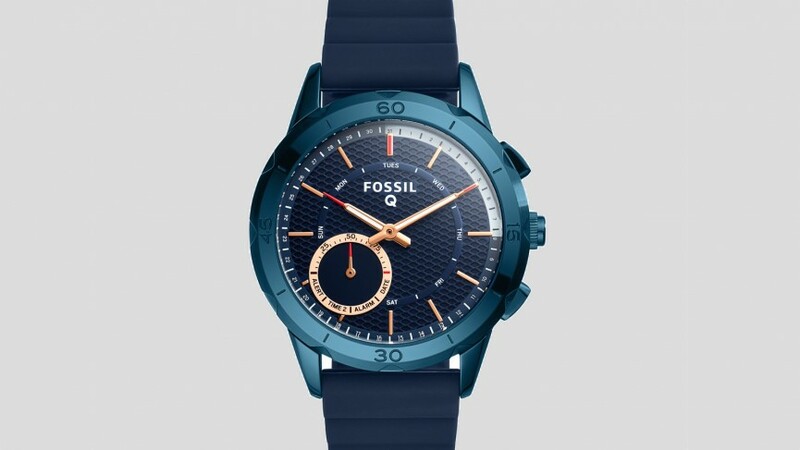 It also referred to the Q Accomplice as its “next generation smartwatch”, meaning the slimmer design and cusomisable pusher is where Fossil 2017 is headed. Prices for the new Accomplice ranges from $175 to $215. There’s a new Q Grant in town and, unlike the first, this hybrid now sports just one sub-dial showing both the different modes and your goal percentage in one handy circle. But like the first it’s still one of the chunkier, more classic Fossil watches in the entire lineup – and one of our favourites. 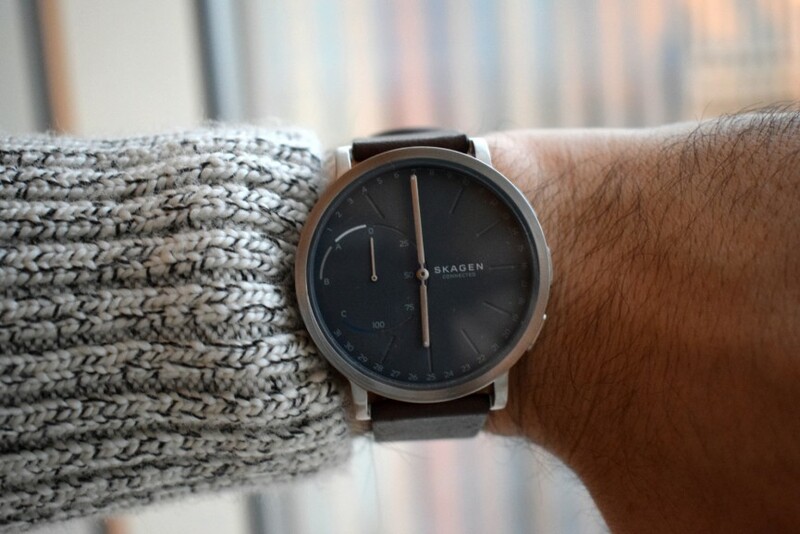 Armani Exchange is also getting into the wearable tech space with the launch of its first connected watch. 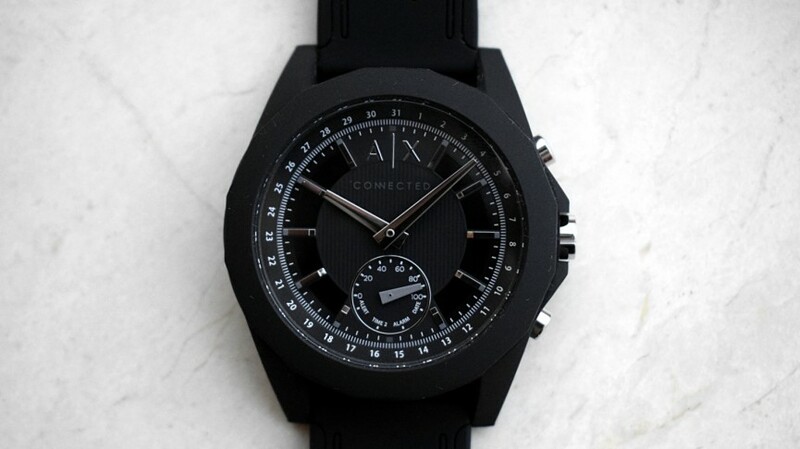 The hybrid, called the Armani Exchange Connected, is quite large and rugged at 44m, and like the new Q Grant uses just one sub-dial. The AX is also water resistant to 5ATM and Fossil says it will run for up to six months on its coin cell battery, depending on usage. And like the others, it comes with three custom pushers, so you’ll be able to set up the smarts as you want them. It comes in four styles: black, white, blue, and an especially rugged-looking orange and black combo. Fossil announced too that its Modern Pursuit line is getting a connected extension. Again, there’s a single sub-dial, while the hands have been finished with red tips for added visibility. This one launches with a silicone strap, and overall is clearly aimed at the sportier, more active crowd. 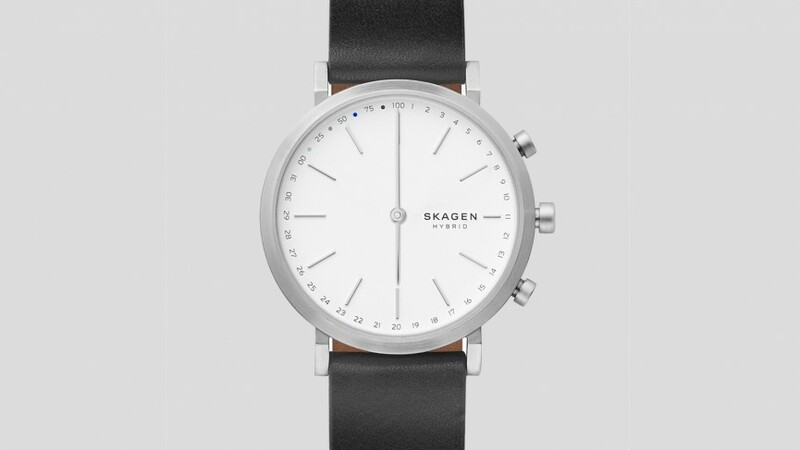 Finally, we’ve got a new version of the Skagen Hagen Connected, which is slimmer than last year’s – again, a new feature for Fossil’s Smartwatch Offensive 2.0 – and removes the sub-dial for a completely clean face. This means its smarts are completely focused around the pushers. And finally, there are some line extensions to the first Hagen Connected, including a blue plated model with a blue mesh band. Nice.